Marriage is ordained and even commanded of God and is the ideal state for all men and women. The Mormon Church does not elevate the principle of celibacy–not for lay members, nor for its leadership. In fact, eternal marriage is necessary to be saved and exalted in the highest mansions of heaven, where God Himself dwells. Neither is the man without the woman, neither the woman without the man in the Lord (1 Corinthians 11:11). And the Lord God said, it is not good that the man should be alone (Genesis 2:18). Therefore shall a man leave his father and mother, and shall cleave unto his wife: and they shall be one flesh (Genesis 2:24). If a man marry a wife by my word, which is my law, and by the new and everlasting covenant, and it is sealed unto them by the Holy Spirit of promise, by him who is anointed, unto whom I have appointed this power and the keys of this priesthood; . . . and if [they] abide in my covenant, . . . it shall be done unto them in all things whatsoever my servant hath put upon them, in time, and through all eternity; and shall be of full force when they are out of the world (Doctrine and Covenants 132:19). “Every man who truly loves a woman and every woman who truly loves a man hopes and dreams that their companionship will last forever. But marriage is a covenant sealed by authority. If that authority is of the state alone, it will endure only while the state has jurisdiction, and that jurisdiction ends with death. But add to the authority of the state the power of the endowment given by Him who overcame death, and that companionship will endure beyond life if the parties to the marriage live worthy of the promise (Gordon B. Hinckley, Ensign, July, 2003). The commandment to be one flesh, the commandment to marry, has a deep meaning for members of the Mormon faith who grow in their knowledge of the purpose of eternal marriage. Men and women are very different from each other, and they cannot become whole without incorporating the attributes of the other. Marriage is work; and husband and wife are meant to be co-equal in the marriage relationship, incorporating the talents, God-given gifts, and attributes of one another to create something greater than themselves. With God’s sanctifying influence, an eternal marriage amplifies spiritual gifts and becomes a great, heavenly achievement. Charity, forgiveness, patience, and other holy principles must be incorporated and practiced in order to succeed, because it’s not enough just to perform the ordinance. A couple must endure in righteousness, and progress in unity, for a temple marriage to be “sealed by the Holy Spirit of Promise” and continue to be in effect throughout eternity. Because of this, Mormon husbands and wives who have been sealed in the temple work hard at their marriages. The divorce rate for couples married in the temple for time and eternity hovers around 7%, and those divorces are regrettable. Said Apostle Boyd K. Packer: “Romantic love is not only a part of life, but literally a dominating influence of it. It is deeply and significantly religious. There is no abundant life without it. 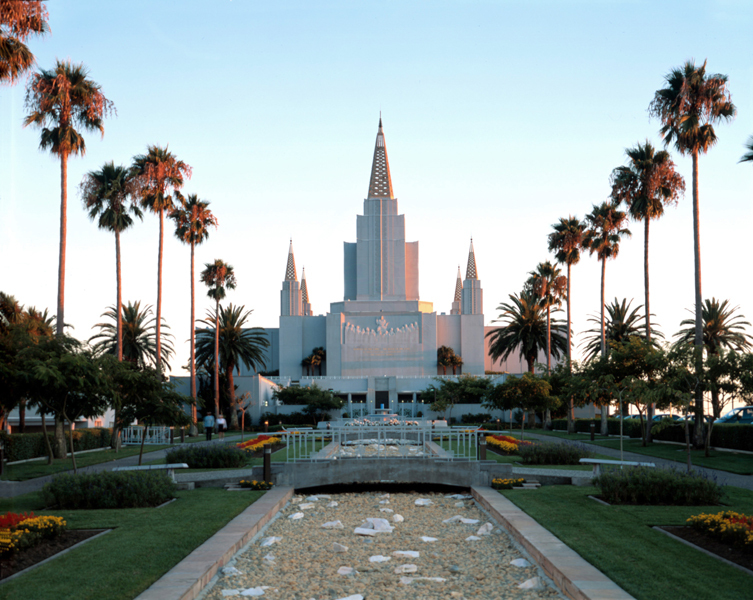 Indeed, the highest degree of the celestial kingdom is unattainable in the absence of it” (BYU fireside, Nov. 3, 1963). For an aged couple to pass from this life still possessing the glow of romance, charity for each other is paramount. Charity is the pure love of Christ. Husband and wife might see each other as a soul mate, or they might not. That’s not so important in an eternal marriage. What they are, really, is co-servants to the marriage covenant, with all the effort that implies. In the eternities, having overcome all in righteousness, we become our best selves. The weaknesses we suffered from here on earth are gone, our infirmities are gone, we are resurrected to a perfect youthful vigor. Marriage becomes considerably easier, and we can expect a fulness of joy. Dallin H. Oaks explains the Mormon concept of family to Harvard Law Students.